The March Performance Ultra Serpentine Kits replace low-performance V-belts, pulleys and brackets while retaining a standard rotation long water pump. Simple to bolt on, these kits eliminate belt throwing. 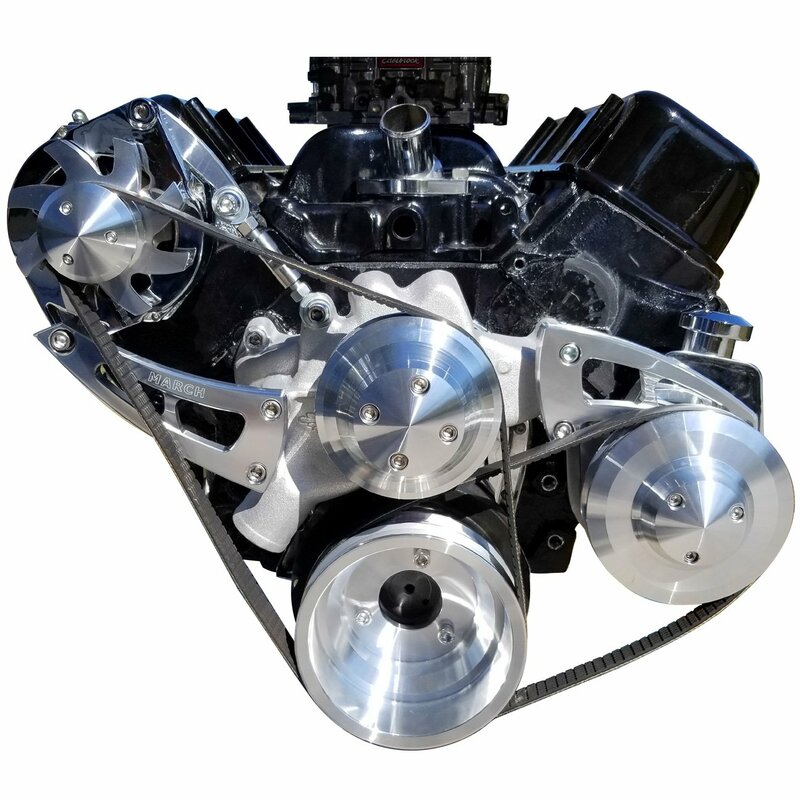 Available with high water flow ratios for improved cooling or performance pulleys for increased horsepower (approximately 12 HP). CNC-machined from solid billet 6061-T6 aluminum and then powdercoated clear for a perfect fit, extra strength, and maintenance-free finish! Gates K050375 - Micro v belts 38 1/4"